Many Indian startups, especially e-commerce ventures, depended on discounts to acquire and retain customers over the past few years. But this customer acquisition strategy has burnt a big hole in their pockets and has prompted a rethink. 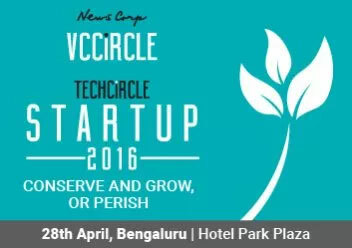 At a panel discussion during the Techcircle Startup 2016 summit in Bengaluru, a bunch of enterprising panellists shared their customer experiences and views on acquiring and retaining customers in the value-conscious Indian market. The discussion, titled 'The art and science of customer acquisition and retention', was moderated by Karthik Reddy, co-founder and managing director of Blume Ventures. The panellists said there has to be the right mix of brand building and marketing to acquire customers. "It takes a lot of time to build trust here. Then, there is also the problem of copycats," said Reddy. Amarendra Sahu, CEO and co-founder of Nestaway, said that his online accommodation startup for singles has concentrated more on bringing out a world-class product than on brand-building. A loyalty element has to be built into the business model itself, instead of introducing it at the consumer's behest, he said. The startup, which has raised $45 million till date, reaches out directly to property owners and yanks out the best deals from them. Digital marketing has been it's sole channel of marketing. "In certain areas and localities, demand outstrips supply by 10x. We don't offer consumers a commodity inventory, but rather an experience," said Sahu. Amit Kumar Agarwal, CEO of brokerage-free house rental platform NoBroker, says convenience and cost saving play a crucial role in retaining consumers. "We have focused on not building bad habits that cannot be supported from day one of our business. Maintaining positive unit economics has always remained a thesis for us," he said. Rahul Zutshi, general manager and head of corporate strategy at Ameyo Emerge, a startup that provides contact centre technology, said there are several ways to measure customer acquisition but retention is a different ball game. "Whenever startups create process flows, try to integrate and be a part of the system. Likewise, with the focus on consumer success, it is paramount that a dedicated customer focus team is in place at the earliest during the early stages of a startup," said Zutshi. Vishal Anand, chief product officer at mobile news aggregation app DailyHunt, said offering content in diverse Indian languages will help it retain customers. He said that English content accounted for only 5% of the platform's total consumption. The app has now expanded to books, magazines, comics and educational content. It says digital marketing, word of mouth and product offerings based on customer feedback are its customer acquisition and retention mantras. Karthik Sathuragiri, director of emerging businesses vertical at global Internet content delivery network Akamai Technologies, said it spends less than 3% of its revenue on marketing. Most of its marketing spend goes for recruiting highly skilled talent. "Business model innovation has become easy to copy over the years," Sathuragiri said. "Hence, customer experience is the chief differentiator."